Welcome to the newly built apartment building right by the Vistula River! 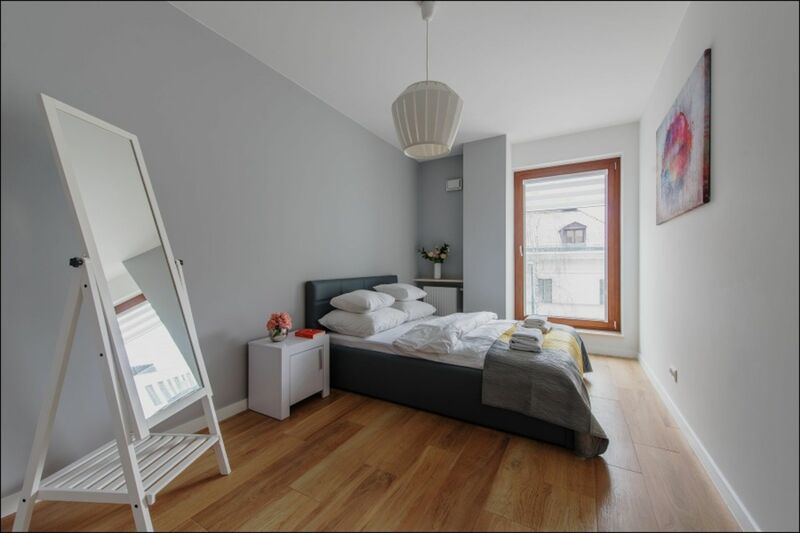 A cozy, tastefully furnished 4-person apartment is located on the 2nd floor of a modern apartment building at 18 Solec Street. The building, located in Warsaw's Powiśle, has been designed with attention to the comfort of guests traveling to Warsaw for business and tourist purposes. A parking space is available in the garage, and there are commercial and service premises in the building, including Żabka grocery store. A well-developed infrastructure in the immediate area. 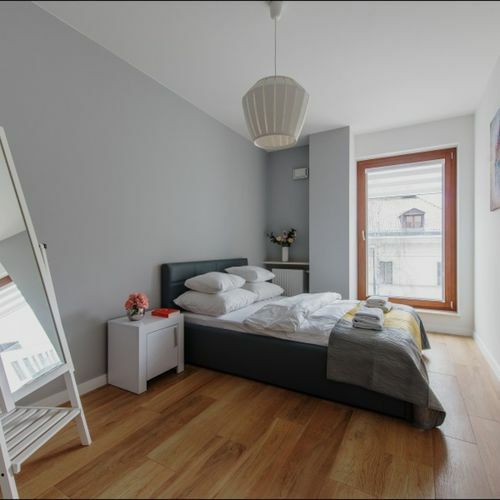 The apartment consists of 2 rooms: a spacious bedroom and a living room with a kitchenette. Comfortable bathroom with shower and washing machine. 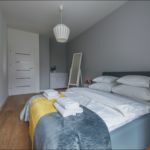 The bedroom is designed for 2 people, in the living room there is a corner sofa bed for 2 people with a sleeping function. The fully equipped kitchenette allows you to prepare your own meal, and in a separate dining area there is a table with 4 chairs. Upon check-in, the guests are required to pay a security deposit of 500 zł (~116.84 €) , which is fully refunded upon check-out in case no damage to the property is done!